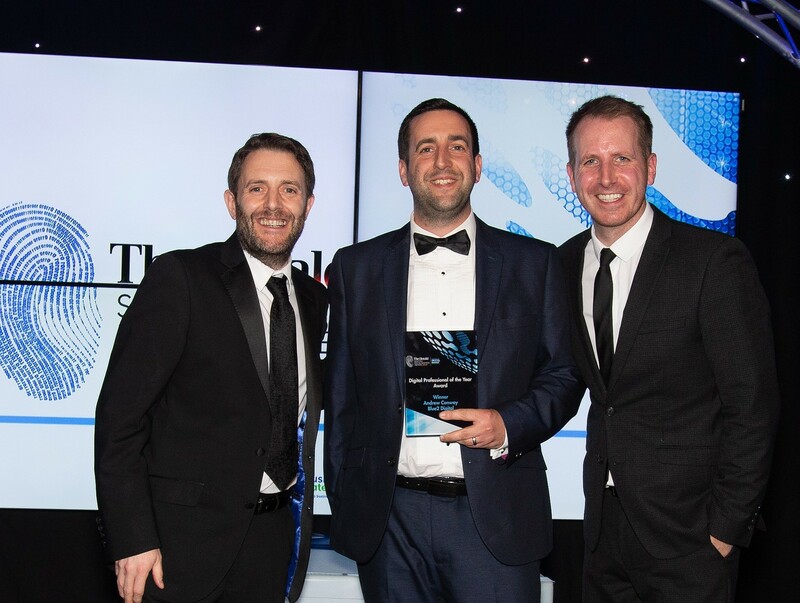 Andrew Conway, the Technical Director at Blue2 Digital based in Broughty Ferry was last night crowned Digital Professional of the Year at the prestigious Herald Digital Business Awards held in Glasgow. Andrew is Technical Director at Blue2 Digital, Dundee’s leading digital and web development agency and works with a highly talented team creating Website and software projects for many leading companies and organisations. Blue2 Digital’s clients include SSE, Virgin Money, The R&A and Loch Duart Salmon. The agency is also a digital sponsor of local Dundee initiatives – The Oor Wullie Bucket Trail and Maggies Penguins. Blue2 Digital is growing rapidly boasting a growth of over 30% in the last 12 months. The agency has recently launched a spin-out company – Kolabo Ltd a specialist digital consultancy business providing best advice, R&D and joint venture/partnership opportunities for the development of innovative digital products.